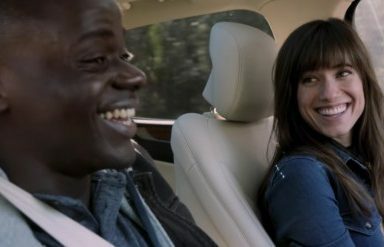 Daniel Kaluuyam the rising film star, of Get Out, has responded to being at the centre of Samuel L. Jackson controversial comments on Black British vs Black American actors and racism. Big up Samuel L. Jackson, because here’s a guy who has broken down doors. He has done a lot so that we can do what we can do. Here’s the thing about that critique, though. I’m dark-skinned, bro. When I’m around black people I’m made to feel “other” because I’m dark-skinned. I’ve had to wrestle with that, with people going “You’re too black.” Then I come to America and they say, “You’re not black enough.” I go to Uganda, I can’t speak the language. In India, I’m black. In the black community, I’m dark-skinned. In America, I’m British. Bro! [Black people in the UK], the people who are the reason I’m even about to have a career, had to live in a time where they went looking for housing and signs would say, “NO IRISH. NO DOGS. NO BLACKS.” That’s reality. Police would round up all these black people, get them in the back of a van, and wrap them in blankets so their bruises wouldn’t show when they beat them. That’s the history that London has gone through. The Brixton riots, the Tottenham riots, the 2011 riots, because black people were being killed by police. That’s what’s happening in London. But it’s not in the mainstream media. Those stories aren’t out there like that. So people get an idea of what they might think the experience is. Let me say, I’m not trying to culture-vulture the thing. I empathize. That script spoke to me. I’ve been to Ugandan weddings, and funerals, and seen that cousin bring a white girl. That’s a thing in all communities. I really respect African American people. I just want to tell black stories. This is the frustrating thing, bro—in order to prove that I can play this role, I have to open up about the trauma that I’ve experienced as a black person. I have to show off my struggle so that people accept that I’m black. No matter that every single room I go to I’m usually the darkest person there. You know what I’m saying? I kind of resent that mentality. I’m just an individual. You probably feel that as a writer, too. Just because you’re black, you taken and used to represent something. It mirrors what happens in the film. I resent that I have to prove that I’m black. I don’t know what that is. I’m still processing it. Interviewer: Black isn’t just a blanket word too, as we’re talking about. It’s such wide spectrum of experiences. Even people who say that black people are minorities, there are a billion black people in the world. A billion white people. What part of that is a minority? If you separate yourself, then maybe. But I see black people as one man. When I see people beaten on the streets of America, that hurts me. I feel that. But this is my first lead role in a film ever. I guess that’s what happens when things resonate. Interview: Right. For so many people, racism, sexism, and homophobia are some of the scariest things you come across in your life. It’s unreal that it took this long to finally make a movie about real fears, and some people are still getting past that. I just don’t want it to go away from the message of the film, and that Jordan has done this. We’ve got to support him, we’ve got to rise. I’d rather it be about the film than about me, or my accent, where I’m from, because that’s not what it’s about. There’s a message in this thing. There’s a black writer and director that has written a film that is critically acclaimed, and now is commercially profitable. Yet we’re trying to separate ourselves again? There’s enough to deal with. But we just keep at it. It’s all good. Many people have tried to argue this is not want Samuel L. Jackson meant. But, this is exactly what he said. So all of the response are rebuttals to his misguided words- whether people like them or not. 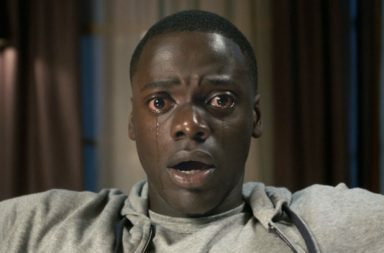 In truth, Jordan Peele admitted his reservations with casting a British actor until Daniel explained the nature of racism in Britain. This again proves that some Americans simply do not know ‘the black experience’ outside of their own 13% Black American community. Hopefully Daniel’s comments can end the discussion and get people talking about just how good the film is again. Which actor do you agree with?